No not that funny wacky backy stuff.... but our famous seasonal vegetable, asparagus! It's the season when everyone in the 'shires' goes a bit mad for our local green stuff we like to call 'graaasss'. It has such a short season, we all go a bit gaga for it and it's on our menus for as long as we can get our country bumpkin Cotswold mits on it. And with good reason, it's delicious. So we're celebrating with an Asparagus Feast at The Ebrington Arms on Tuesday, 5th June. And you're invited. Check the full menu here. 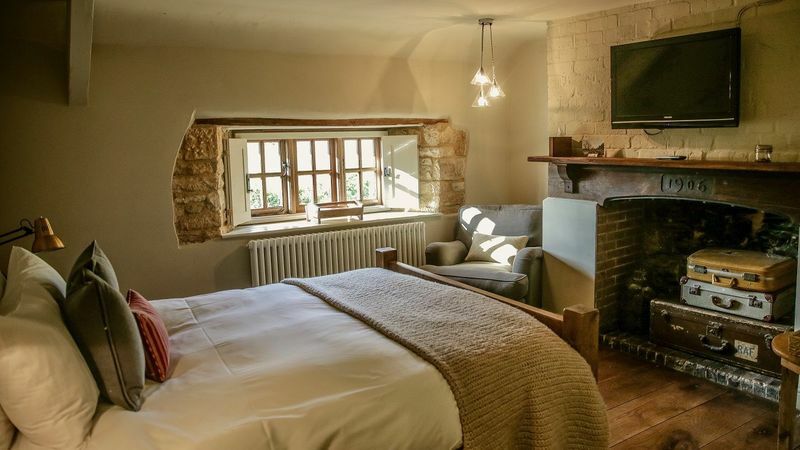 We've only got one room left if you fancy plotting up for the night and making a minibreak of it - Room 5 which has a lovely view over the beer garden and Cotswold hills. Check our rooms here. On the night, there will be some asparagus canapes to kick off the evening and an optional wine tasting with each of the three courses. To book a table call one of the team on T: 01386 593 223. And right after that we're also having a Yubbyfest on Saturday 9th June with live bands, DJs, BBQs, wine bar and Cotswolds Distillery Gin bar too! Get involved peeps!